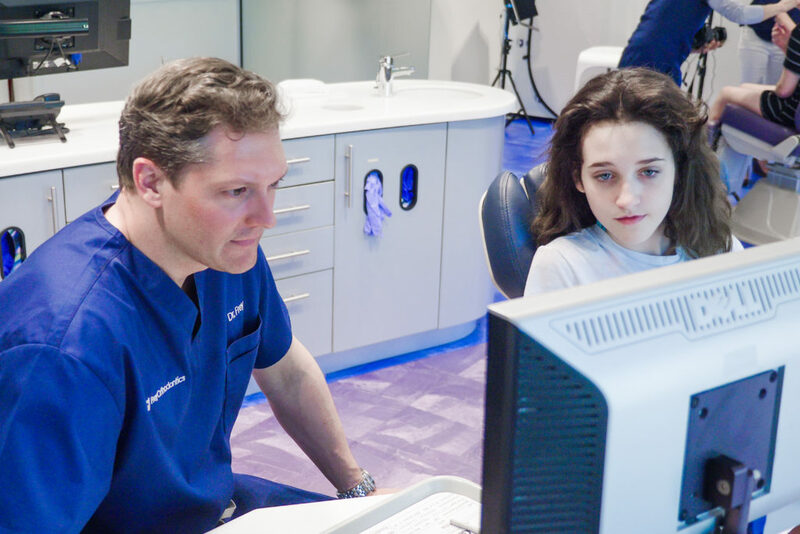 When orthodontic treatment is on the table, it tends to come with a list of questions and concerns a mile long. How often are follow-up appointments? Are there any restrictions on food? What about physical activity like sports? There’s a lot to think about and consider before getting braces! The good news is, you’ll grow much more familiar with your teeth and all the amazing things they’re capable of as time goes on. You’ll even learn about the orthodontic process itself as you work your way towards a straighter smile. By the time your braces are ready to come off, you will have amassed quite a bit of orthodontic knowledge, but one related subject you might be missing info on is wisdom teeth. Yep. Wisdom teeth. Although they might not seem like a topic that would ever come up in any conversation about orthodontics, wisdom teeth can actually have an impact on your oral health. In fact, it’s not unusual for patients here at Frey Orthodontics to wonder if these late-arriving molars might have a negative effect on their newly straightened smile somewhere down the line. Want to know more about what you can expect from the eruption of your wisdom teeth during or after orthodontic treatment with braces? Keep reading below! What are our wisdom teeth actually for? As it turns out, not too much of anything really. These latecomers are the last teeth to make an appearance in our mouths, usually showing in our late teens the to early twenties, and are essentially a throwback to when our ancestors needed large and powerful jaws to survive. The diet at that time was full of coarse foods like roots, nuts, and meat, but as it evolved, so did our jaws, eventually shrinking in size to hold three molars in each quadrant instead of four. For many people, even just these three is too many, and their mouths simply don’t have the space to accommodate wisdom teeth without issues. For others, the teeth will come through in proper alignment with little more than slight tenderness. In those cases, further action is generally not required. Because wisdom teeth grow in stages instead of all at once, there can be long periods of pain or discomfort if you are one of the unlucky ones with minimal space. By knowing what to expect, you will be able to work with us and your dentist to avoid any unnecessary suffering! As noted above, your wisdom teeth typically make an appearance in your late teens the too early twenties. Some patients will also see a slight shifting of their teeth around this time as well. This is known as relapse, and considering the timing, it’s understandable that some people would jump to the conclusion that the wisdom teeth must be responsible. However, The University of Iowa actually studied this subject to try and determine if any shifts in the smile that occur in that particular timespan were related to the wisdom teeth. The short answer is no. After conducting research that involved placing sensors between the teeth of their subjects, then comparing the pressure on them with and without wisdom teeth, researchers found that there was no difference between the two at all. This proved that wisdom teeth can’t exert enough pressure on their own to cause the other teeth to shift. But if your wisdom teeth coming in aren’t a factor in any shifting that occurs, what else could it be? The answer is pretty simple: we get older. Throughout the aging process, our teeth will begin to show signs of wear and tear. There’s also a natural drifting that occurs, which can cause our teeth to begin overlapping, moving them slightly forward. If the teeth begin to overlap, the upper teeth can press the lower teeth in towards the tongue. Our jaws are also still finishing up their growth at this time, which can force the teeth into less than optimal positions. If you’re a braces patient here at Frey Orthodontics, you’ve no doubt heard Dr. Frey and the rest of our team stress how important retainers are a time or ten. These natural events are the biggest reason for wearing your retainer exactly as directed once your treatment is complete. Regular retainer use is the best defense you have against your teeth shifting back into less than desirable positions. It’s an incredibly simple yet highly effective way to help your teeth stay as straight as possible once your braces are off! Do all wisdom teeth need to be removed? What if you’re in braces? When a mouth doesn’t have enough room for the wisdom teeth, it can put pressure on the surrounding teeth. If the teeth are coming in sideways, they can catch behind the last tooth in your mouth. This is what we call impaction, and it can lead to swollen, infected, and painful gums. In addition, partially erupted teeth can be difficult to clean effectively, which increases the risk of recurrent infections and damage to the healthy molars that are adjacent. An experienced orthodontist like Dr. Frey will be able to tell how well your wisdom teeth are emerging by examining a detailed x-ray of your mouth. Based on these results, along with any impact wisdom teeth are having on the rest of your mouth as they erupt, we may recommend further treatment, up to and including wisdom tooth removal. Many patients worry about will happen if their wisdom teeth begin erupting over the course of their orthodontic treatment. Fortunately, most people will be able to continue the treatment process easily and without interruption. Wisdom teeth can be removed while wearing braces if necessary, but if yours are coming through with no apparent issues, it’s unlikely we would need to remove them. You know the old saying – why fix what isn’t broken! Here at Frey Orthodontics, we’re dedicated to making your entire orthodontic experience fast, easy, and comfortable, from start to finish. Dr. Frey has many years of experience in using progressive techniques to produce beautiful results for patients of all ages in Algonquin, Naperville, and the surrounding communities. If you would like more information on how wisdom teeth could impact your orthodontic treatment or overall oral health, get in touch with our office. We’re happy to answer any questions or talk through any concerns you have about your treatment plan. Our team is committed to going the extra mile to make you comfortable and confident from your first appointment to the last!